The alpinist is a modest assailant and is approaching an imposing fortress, all the characteristics of which are calculated to put him off: verticality, snow, ice, cold, amplitude. And vertigo from the attack. Attraction. Ben Nevis, Scotland, 2013. Assaillant bien modeste, l’alpiniste approche d’une forteresse imposante, dont toutes les caractéristiques sont faites pour le rebuter : verticalité, neige, glace, froid, ampleur. Et vertige dès l’attaque. Attraction. 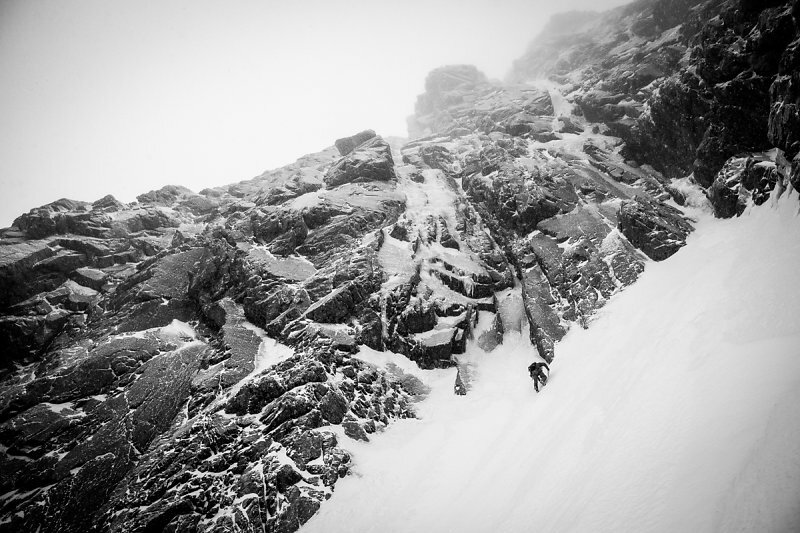 Ben Nevis, Ecosse, 2013.